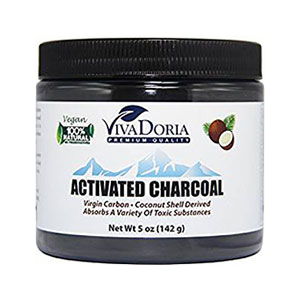 Activated charcoal is a manufactured form of carbon that has been utilized since the early 1900's as a natural remedy and top universal antidote employed around the world for extreme cases of toxic contamination or gastrointestinal poisoning. Today it is not only a convenient household first aid kit item, but is likewise considered a potent substance to take during periodic cleansing regimes. This is due to its ability to effectively adhere to toxins and chemicals that may accumulate in the body over time from impure foods, water sources and/or long-term use of pharmaceutical drugs. Charcoal is not a component you can find in foods, but is a product produced and processed as a fine powder and sold as a dietary supplement. It is available most commonly as a bulk or encapsulated powder and to a lesser degree as a compressed tablet. For millennia, charcoal has been consumed medicinally by humans for numerous health issues. It has, however, only been used in its "activated" state since the early 1900's, around the time this procedure was invented. 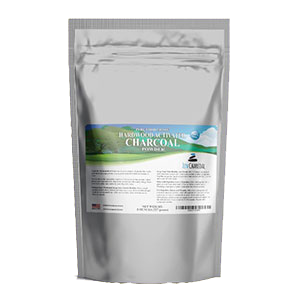 While activated charcoals have been employed historically in a multitude of industrial applications, food-grade supplements are specially created for human consumption and always derived from non-toxic natural materials and purified. In many countries charcoal is an age-old chelating agent applied in clinical toxicology for some types of heavy metal poisoning as well as used as an over-the-counter supplement to treat nausea, diarrhea, indigestion and flatulence. Today it is one of the most accepted methods of detoxification treatment, along with gastric emptying, utilized in emergency trauma centers worldwide as a remedy to drug overdose or the ingestion of certain poisonous compounds. For medical application in such situations, activated charcoal is typically administered in one single dose (SDAC) taken within an hour or so of the event. It is not only useful in emergencies for medically treated toxic overdoses, it can also be consumed intermittently for a number of days in a row when undertaking a body cleansing protocol. 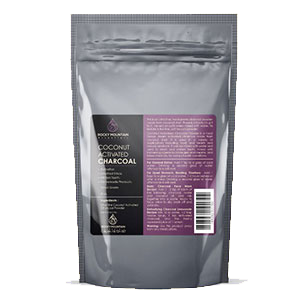 Unlike other superfoods that are promoted for long-term use, charcoal, used in this manner, is recommended for short periods of time to assist and speed up the natural detoxification process. 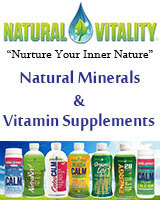 It is most beneficial for neutralizing toxins in the stomach and GI tract and preventing their systemic reabsorption. When applied within a cleansing regimen, typically one starts with smaller doses and builds up to larger amounts over a given length of time. Charcoal in its activated state, sometimes used interchangeably with the term "activated carbon", is a relatively inexpensive supplement. 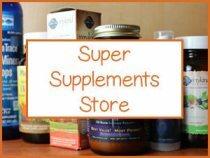 Even quality products are very affordable and available from many online suppliers or can be found in the supplement section of your local health food store. 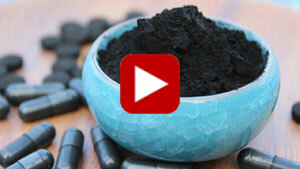 Bulk activated charcoal powder is considerably less than purchasing capsules or tablets. It can be mixed with water and some health experts believe it is more effective than capsules as it takes immediate effect in the gastrointestinal tract. While it is used extensively for human detoxification purposes, it is also widely utilized for industrial use in metal extraction, water purification, decaffeination techniques, sewage treatment, air respirators, air filters, sugar refinement as well as for numerous other commercial applications. Food-grade charcoal is used topically as a cleansing agent in body-care products, like soap, body scrubs and facial masks. 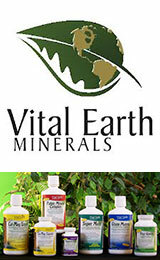 Powders can also be applied as a natural teeth whitener or in water as a disinfecting mouthwash. 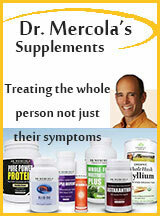 Pets and domesticated animals can also benefit from supplementation. Charcoal biscuits are often sold as a pet care product, especially useful for bad breath or canine gassiness. Activated charcoal is not the same thing as the charcoal briquettes used in your barbecue, which contain other by-products and is highly toxic to consume. 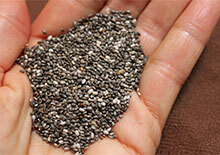 The variety we are referring to is manufactured by burning a natural source of carbon and steam-activating it. This may include wood, peat, coir, bamboo, nut shells or husks. The top two quality forms of food-grade charcoal currently on the market are made from either hardwood or coconut shells which are washed to remove impurities. 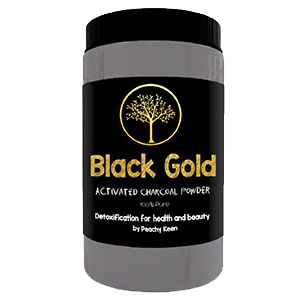 Pure activated charcoal is a fine black powder that is tasteless, odorless and nontoxic to the body. It is not digested like the foods we eat, but simply moves through the GI system, where it is eventually eliminated through defecation. The term "activated" describes a process developed to produce an "extensive internal network of fine pores." This dramatically increases its surface area and consequently its ability to capture various toxic substances, some of which may include heavy metals, intestinal gases, man-made chemicals and other poisons. 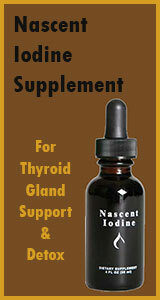 Essentially, this means that toxins "bind to" the surface of the charcoal rather than are "absorbed" within it. This extremely porous negative electrically charged surface area acts like a type of magnet for positively charged compounds. The greater the surface area available the higher the amount of particles it can bind to and excrete from the body. This is why charcoal is activated! Charcoal that is derived from coconut shells is believed to be the most effective as it produces the largest surface area. A relatively small dose can cover a lot of territory. Some sources say that if the microscopic molecules were unfolded, a one teaspoon dose amount of coconut-derived AC is theoretically proposed to have the equivalent surface area to that of one football field. 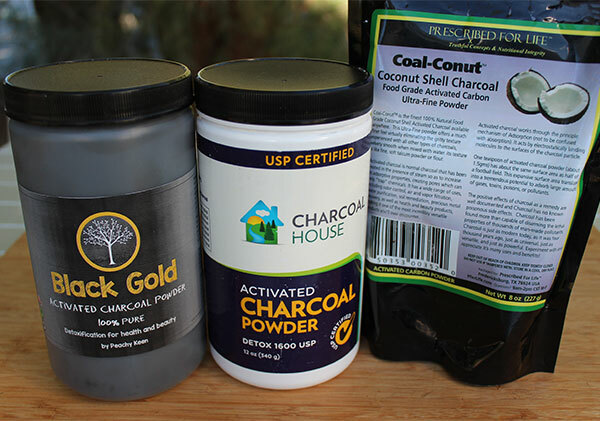 Charcoal's made and used before the 1900's were not "activated" but their adsorptive properties, while decent and obviously somewhat effective, were far lower than the modern-day activated charcoal used today. Carbon fullerene (C60), also called buckminsterfullerine or charcoal C60, is charcoal in its geodesic form with a symmetry pattern similar to that of a soccer ball. It was discovered by Nobel prize winning English chemist Sir Harry Kroto in the mid 80's. This is charcoal in its naturally active state, most commonly referred to as fullerene C60, and is made of 60 carbon atoms formed in the shape of a hollow ball, sometimes referred to as a "bucky-ball." 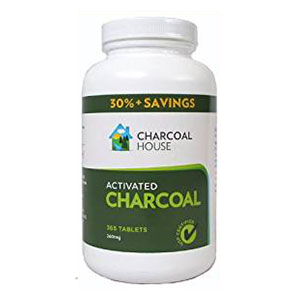 It is this form of non-activated charcoal that became very popular in 2012 when a published study reported that charcoal mixed with olive oil increased the longevity in mice up to 90% longer than control groups. 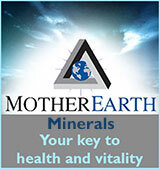 Initially this research was intended to analyze any potential toxic effects of C60, but coincidentally revealed this groundbreaking discovery that was largely popularized in the alternative health community. 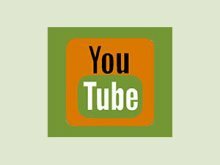 This study entitled, "The Prolongation of the Lifespan of Rats by Repeated Oral Administration of  Fullerene" demonstrated "that oral administration of C60 dissolved in olive oil (0.8 mg/ml) at reiterated doses (1.7 mg/kg of body weight) to rats not only does not entail chronic toxicity but it almost doubles their lifespan." Further explorations reported in the journal BioMed Research International, analyzing the antioxidant actions of Fullerene C60, it was confirmed that C60 has a geroprotective or anti-aging effect through its "decrease in ROS production" due to its "ability to acquire a positive charge." British charcoal scientist Keith Foster, considered an authority on carbon structures, promotes the use of "naturally active" C60 charcoal supplements, like "Toxin Buster", over activated varieties. Foster believes, through his over a decade worth of research, that non-activated charcoal's are more gentle for human consumption and regular supplemental use. While this is not a widely accepted viewpoint, we would tend to agree that for certain individuals with extreme digestive issues, particularly constipation, a non-activated charcoal with less adsorptive qualities might be more suitable. As we discussed, the primary reason why most all dietary charcoal supplements are activated is to increase their effectiveness at adhering to toxic compounds, which therefore speeds up the detoxification process. Sometimes this procedure, however, can be too aggressive for certain body types or those with weak digestive capacities. It is also appropriate to point out that activated forms can also be moderated by using mild plant-based laxatives and drinking plenty of water with intake to help cushion and improve its transit time. Likewise, hardwood-derived charcoal is also slightly less adsorptive than coconut shell based powders, capsules or tablets. 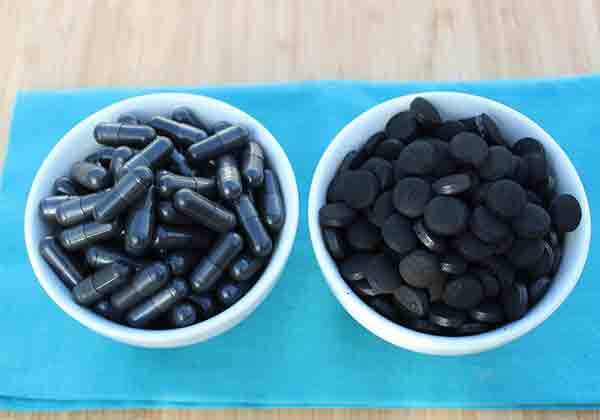 Charcoal-based drinks and capsules have become very popular for therapeutic purposes as an intermittent adjunct to a health promoting diet as well as during a fast or detox program. 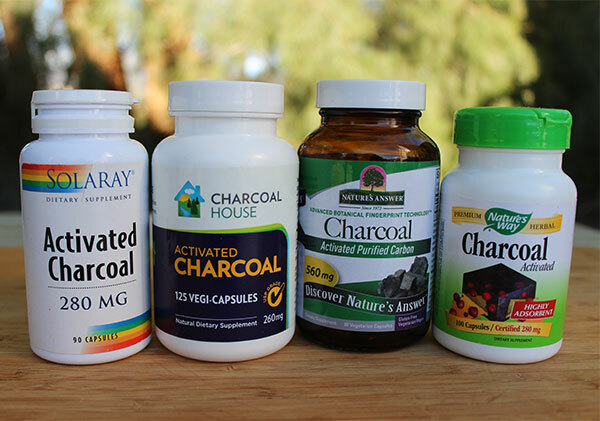 In a clinical review it states that "Charcoal's effectiveness in treating poisoning occurs through its direct adsorption of toxic substances in the GI tract." 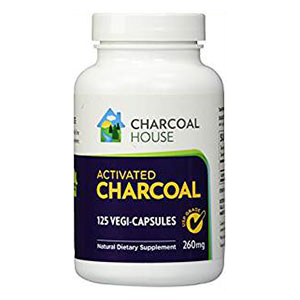 Activated charcoal supplements, as we mentioned, are not in-effect "digested" by the body but simply travel through the GI tract, starting with the mouth and out the other end through stool defecation. During this process, activated charcoal's expansive surface area allows for the binding of toxic residue buildup and gases in the stomach and especially the large intestine, where toxins are known to accumulate. This inhibits their systemic reabsorption and neutralizes the autointoxicating influence they can have on the body over time. 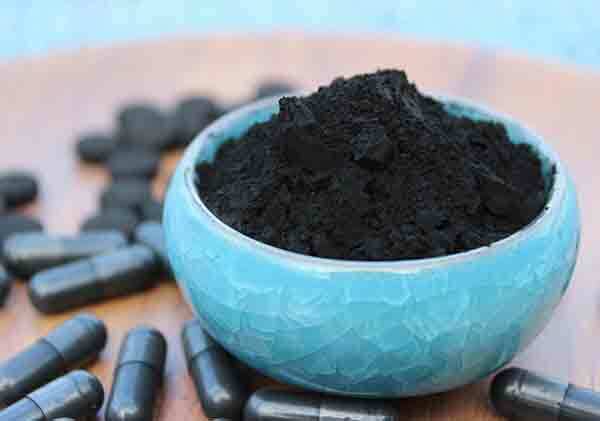 Periodic supplementation with daily doses of activated charcoal can be a good way to help chelate substances like heavy metals, such as lead and mercury, in addition to certain pesticides, chlorine as well as other volatile organic compounds and positively charged chemicals. 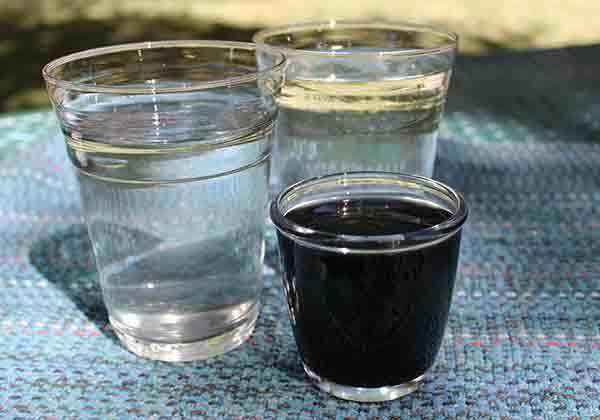 While there are only a few studies indicating which toxins charcoal supplementation can effectively remove from the body, there are many on the use of activated carbon or charcoal for waste water treatments. Other scientific reports additionally demonstrate its capacity at eliminating "alarming levels of cadmium and lead ions from industrial effluents." David Cooney reports in his book entitled "Activated Charcoal in Medical Applications", that research performed in the mid 1800's "found charcoal to be effective, not only against strychnine but also against opium, morphine, aconite, ipecac, veratrum, elaterium, stramonium, cantharides, delphinium, hemlock, and mineral poisons (e.g., bichloride of mercury, silver nitrate, and lead salts)." Again, food-grade activated charcoal and industrial AC's do this by adsorbing these substances, magnetically attracting them with its negative charge to the surface of the carbon molecule. Activated charcoal is not effective at adsorbing some minerals, salts and dissolved inorganic compounds. However, an accumulation of toxic substances can occur over time from unhealthy lifestyle habits, dietary excess and/or environmental pollutants we are all invariably exposed to on a daily basis. This toxic waste buildup can impair health and create a chronic condition of low to high grade toxemia that can cause disease and a variety of autoimmune conditions, neurological impairment and other health related issues. Again, using activated charcoal on a short-term basis for periodic cleansing can be very helpful for removing impurities from the large intestine where they often tend to accumulate and recirculate causing systemic reabsorption. As we mentioned, this may involve using activated charcoal along with mild laxatives such as aloe vera gel or triphala as well as bulking superfoods like psyllium husk, flax or chia seeds to increase transit time and prevent intestinal dryness. There are also many natural colon cleansing products available that include a blend of charcoal with other herbs and gentle laxatives. One of our personal favorites is Intestinal Drawing Formula by Healthforce Nutritionals, which is a proprietary blend of flax seed, slippery elm, marshmallow root, nopal cactus, carob, kelp, plantain and, of course, activated charcoal. When the GI tract, particularly the large intestine, is free of toxic overload and a backup of undigested waste material this in turn increases liver, kidney and vital organ functions. This not only opens up natural detoxification pathways, but also helps us to completely take in and utilize more nutrients, antioxidants and health enhancing compounds from the foods we eat and drink. Implementing a yearly or bi-yearly detox ritual, using supplements and liquids like charcoal, zeolite, chlorella, cleansing herbs, green juices and/or other purifying superfoods, can be extremely beneficial to one's overall health and well-being during the course of a lifetime. 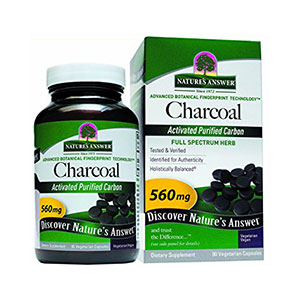 Charcoal in its active and non-active form has been used throughout the ages as a remedy for alleviating flatulence, bloating and nausea. It is not irritating to the mucous membranes of the intestinal system, but rather can relieve symptoms of intestinal discomfort by binding to gaseous byproducts that cause many digestive issues. In one study observing the effectiveness of activated charcoal on intestinal gas after gas-producing food intake, it was shown that "orally administered activated charcoal was effective in preventing the large increase in the number of flatus events." There has been some research about the effects of activated charcoal (or carbon) on its ability to "inhibit the absorption of dietary cholesterol" in rats fed a high cholesterol diet through the "binding of bile acids in the intestine." In David Cooney's chapter entitled, "Hypolipidemic Effects of Charcoal", he made reference to several studies that identified that activated charcoal could reduce serum cholesterol and triglycerides. Charcoal is also popularized for its ability to remove surface stains from the teeth, acting as a natural teeth whitener. This can be achieved in DIY fashion by applying a small amount of powder to your tooth paste, scrubbing onto the teeth and rinsing thoroughly until the water is clear. Usually, for noticeable whitening effects, it needs to be applied regularly over a couple of weeks. 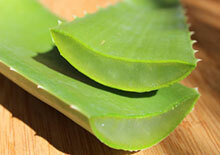 It will also help to deodorize the mouth and can help with plaque build-up and general oral hygiene. Cooney writes that in the 1800's charcoal was recommended as a type of mouthwash when mixed into a water solution. Commercial charcoal toothpastes are also available as opposed to using straight powders. Charcoal is also good for external use and is commonly used commercially in beauty products especially face masks, body scrubs and soaps as a toxin-drawing agent. The powders are useful as home remedies for certain types of skin rashes, acne, bites, wounds and abscesses. It can be mixed into a poultice or paste and applied directly on the skin or likewise added to homemade facial masks with other ingredients like bentonite clay, noni, spirulina or kelp powders. More references from the book Activated Charcoal for Medical Applications, indicate that "Charcoal incorporated into wound dressings has shown remarkable healing and antiseptic properties." Charcoal is frequently acknowledged as a "hangover cure." Although it does not adsorb alcohol or remove it from the body, it is useful for quickly eliminating other toxins and metabolites in alcohol that contribute to hangover symptoms. One must remember that charcoal, however, should be regarded as a compliment to sound dietary practices and regular exercise, not as a back-up for intentional food or lifestyle indulgences. 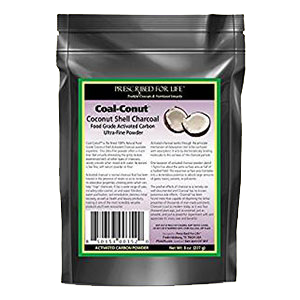 Most all quality activated food-grade charcoal brands are those created from steam-activated carbon of 100% natural origin, either coconut shells or hardwood sources. If the product label doesn't specify which, you should avoid or further investigate through direct communications with the company. 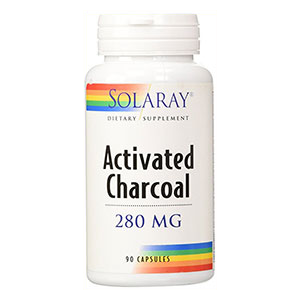 Activated charcoals sold as a supplement for human consumption are food-grade certified. USP (U.S. Pharmacopeia) is a common certification for products sold in the United States and guarantees that it has been processed to meet purification standards required for internal medicinal use. Natural coconut shells and hardwoods are known to produce ultra-fine grains, but by comparison coconut shells are considered to offer the largest surface area when activated. It is important to avoid charcoal products that contain other fillers, sorbitol or artificial sweeteners like saccharine. There are currently only a few brands that make non-activated charcoal C60, as this is not believed to be as effective due to its smaller surface structure. A few suppliers, however, offer it in capsule form as well as in olive oil solutions, as to duplicate the ones used in the 2012 longevity research findings. 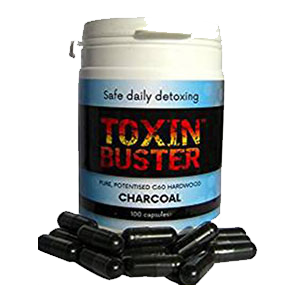 In our opinion, non-activated charcoal, like Toxin Buster, may be more appropriate for those prone to extreme constipation as these forms are not as adsorbent and/or drying to the body. 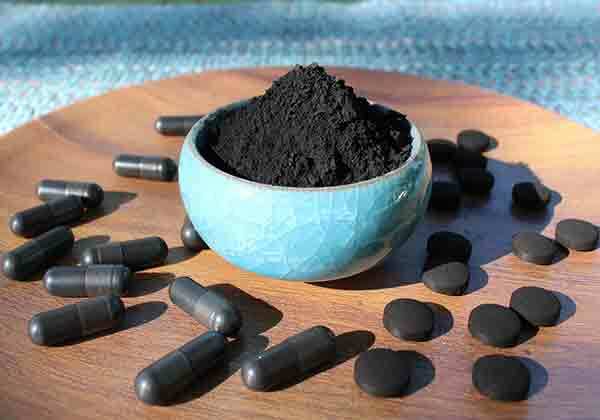 Activated charcoal is generally recommended for intermittent use during a detoxification regime or cleansing protocol rather than as a daily dietary supplement. In emergency ingestion of toxic substances, you should always seek medical advice rather than self-medicate with a large dose amount. 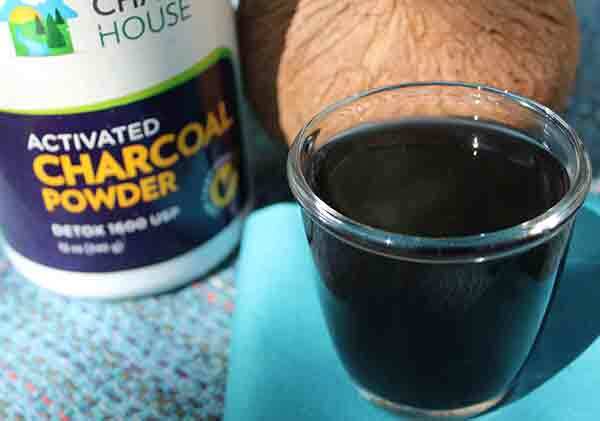 Typically, when using activated charcoal as a supplement, it is best to consume it first thing in the morning with plenty of water or 1 1/2 to 2 hours before or after a meal. While charcoal has not been found to interfere with nutrient absorption when tested, we feel it best to take it separately. Taking it alone allows it to move through the GI tract faster without the impediment of other foods. When ingesting other micronutrients, vitamins and minerals which will move through the system faster than solid food, you should wait at least 20-30 minutes before charcoal supplementation. Charcoal can also bind to certain medications, so be sure to consult your physician in such cases before use. However, two hours is usually considered a safe window of time before or after taking most pharmaceutical drugs. Some people also use activated charcoal after consuming low quality processed foods or alcohol to rake up any potentially toxic compounds. 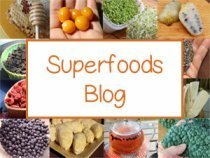 It is important to keep in mind that activated charcoal is not a "cure-all" and is not intended to serve as a quick fix to frequent food indulgences or the excessive use of drugs and alcohol. One of the most important things to be aware of when taking activated charcoal for a period of time, is that you need to drink plenty of water as to avoid constipated conditions. If constipation occurs you should stop taking charcoal and consider doing an enema or a mild natural laxative, like aloe, or triphala, to get things moving. The most convenient way to take charcoal is in capsule or tablet form. Capsules are more common and usually made from straight powder, whereas tablets may contain binding agents. 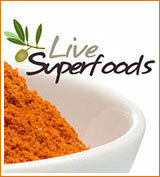 We also enjoy the bulk powders, which are more economical. They can be stirred into water for an early morning drink or "grey juice" with lemon. 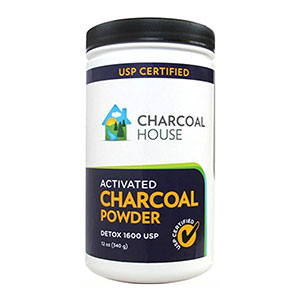 In much information we have come across, and from our own personal experience, charcoal powder seems more effective when used with water in addition to mild laxatives to help ensure increased transit time through the gastrointestinal system. 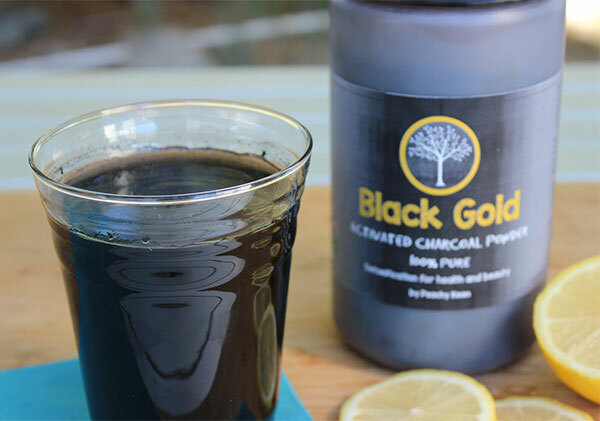 Homemade charcoal lemonade recipes are now a popular and tasty beverage to consume as part of a detox program. We make ours using activated charcoal powder, lemon juice, fresh aloe gel, chia seeds, raw honey, ginger and Himalayan salt. Charcoal has no taste and is odor-free. The fine powders can get a bit messy and can stain counter tops or clothing, but are easy to clean if you wipe them up immediately. 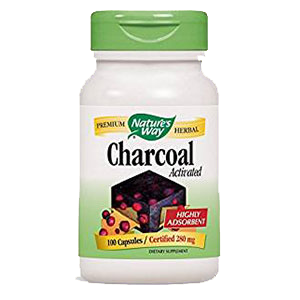 Charcoal supplements are a great addition to a first aid kit and used in non-life threatening situations like spider bites, bee stings, diarrhea, indigestion, hangovers, flatulence or mild food poisoning. The powder makes an excellent poultice or paste mixed with water for direct use on the skin and is a nice ingredient to add to a homemade facial mask. Activated charcoal is generally considered a non-toxic substance, but should not be consumed if you have constipation or reduced peristalsis. Seek the advice of your healthcare provider before taking if you are pregnant, breastfeeding, have a serious medical condition or are taking prescription drugs. Charcoal is known to bind to aspirin as well as certain pain medications, heart medications and antidepressants. In cases of poisoning or drug overdose, always seek immediate medical attention.